OC Mom Activities: Summer Grilling Made Easy and Delicious! Interesting. I've gone to Smart & Final tons but only for nonperishables. Paper towels, that sort of thing. All I need in life is my family and my grill!!! Can't wait for Summer meals under the sun! I normally only go to Smart & Final for mason jars & random restaurant-sized items I need...never thought of shopping for food there but I will check it out. Do they have any organic meats or dairy? Smart & Final is a great store to get all your grilling needs. They have everything! I have a S&F right by my house may need to stop there for some ribs, now that you've tempted me beyond. WOW, your food looks amazing! Can't wait to see more photos of the backyard. Katie, this looks so delish! I always forget about Smart and Final. Need to remember they have so much to offer other than bulk plastic containers. I seriously want to come to your house for a BBQ! 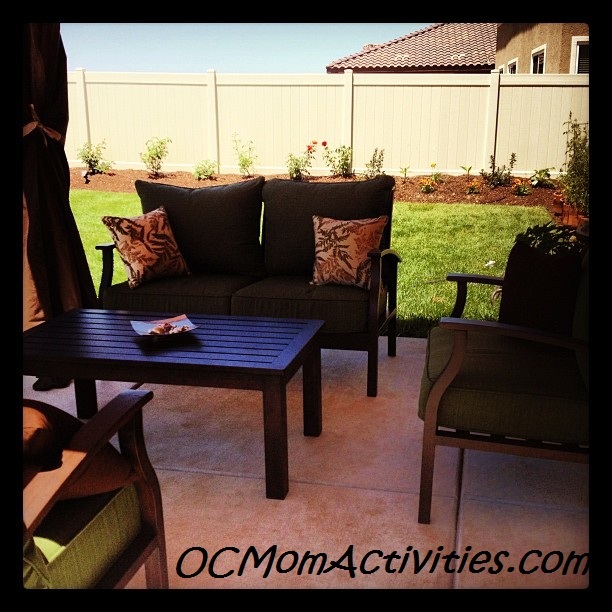 Looks great and your backyard looks tranquil!